The game features a singular action that can be performed by the player which ultimately leads to every part of the game. 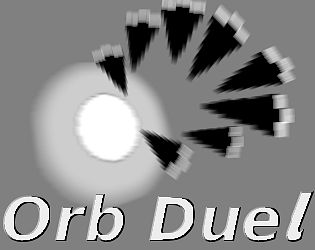 Clicking in a location will deter the everlasting chase from the dark orb and act as the main motion for the light orb. Travelling at high speeds lets you escape the dark orb faster and build up speed so it can eventually be defeated. Defeating it will increase your score while slowing your acceleration to increase difficulty and having it defeat you grants the opposite effects. GameMaker Studio 1.4 Professional with the HTML5 export module. Thanks a lot! The feedback is interesting even if the jam is over.